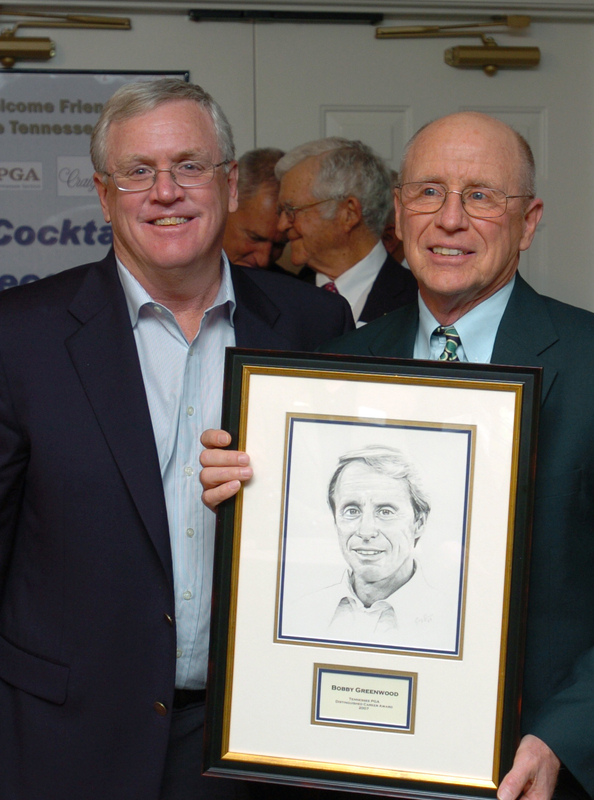 — Long-time professional golfer Bobby Greenwood of Cookeville was inducted into the Tennessee Golf Hall of Fame on Sept. 5 at Holston Country Club in Knoxville. “It’s overwhelming. I’m speechless,” Greenwood said to the Herald-Citizen. “The biggest honor is to be inducted with Joe Campbell. I’ll take it. God is great. I’m speechless.”His long-time friend Bobby Nichols, who is the golf coach at Tennessee Tech, introduced Greenwood, who will also be inducted into the Riverside Military Academy’s All-Sports Hall of Fame later this year. This will be his third hall of fame induction. “We have been friends for many years and we grew up together,” remarked Nichols. “I’ve watched his game progress through the years. I know what king of player he was back then and how good he was. He is a great man. He’s done all the things you need to do to be in the hall of fame. It is a great honor for him to receive this award and a great honor for me to present it to him. “I’ve learned so much from him. I think it’s good for someone from Cookeville to be inducted into the golf hall of fame. It’s a great honor,” added Nichols. “It’s overwhelming. The most important thing to me are people and people who came from El Paso, TX and Melbourne, FL and from South Carolina to be here. It was so moving. I had a great speech all ready and I got so tore up I couldn’t say too much. It tugs at your heart-strings. One time I was about ready to cry and I thought ‘This can’t happen,'” added Greenwood. Bobby Greenwood was introduced to golf at Cookeville Country Club at the age of twelve. During the 1960s there was no better amateur player in Tennessee. Greenwood won the 1966 State Amateur and the 1968 State Open, becoming the third of eight golfers in history to accomplish this double. Greenwood became one of seven players to win the Sunnehanna Amateur multiple times, winning the event in 1965 and 1968, setting the course record in 1965 with a 72-hole record of 269 and course record 63 in the second round. Golf Magazine ranked him among the nation’s Top 10 amateurs twice. A three-time NCAA All-American at North Texas State University, Bobby was selected to play on the 10-man Texas Cup Team in 1964. 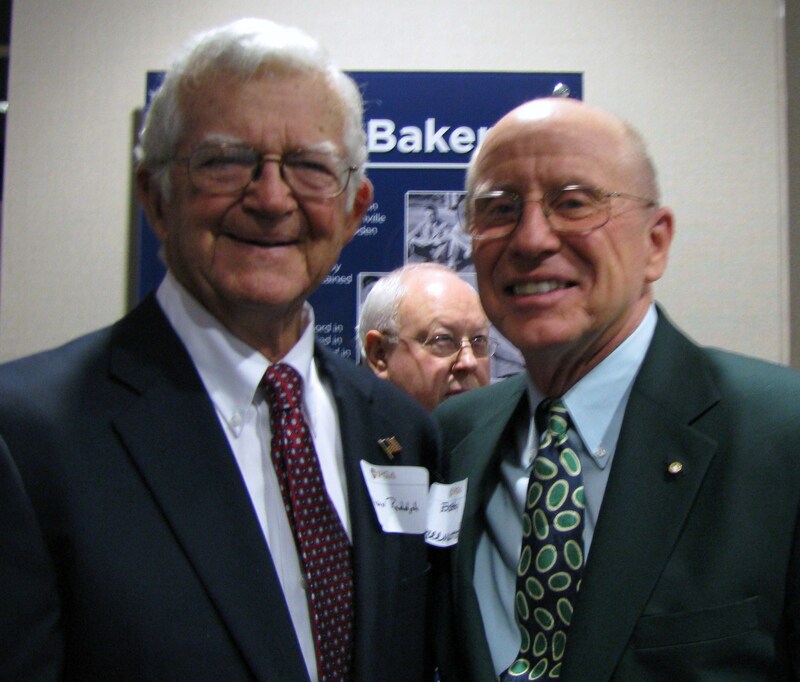 Bobby was inducted into the UNT Hall of Fame in 2002. He qualified for the PGA Tour in 1969, tying Johnny Miller for third place, and played the PGA Tour for seven years, from 1969 through 1975. He made seventy-two cuts, six top 10 finishes and 15 Top 25s while also winning the 1970 Rhode Island Open while on the Tour. After leaving the Tour, Greenwood served as director of golf at Sawgrass Country Club in Ponte Vedra Beach, Florida and was the Host pro for two Tournament Players Championships at Sawgrass; a design coordinator for Golden Bear International; president of his own golf course architectural firm and the designer of the Dorchester course at Fairfield Glade; editor-in-chief of one of Tennessee’s first golf publications, “The Nifty Knicker,” and a partner in a golf school operation and a discount golf shop in Nashville. Greenwood won over 150 tournaments in his career. Editor’s note: Buddy Pearson, managing editor of the Herald-Citizen, contributed to this story. 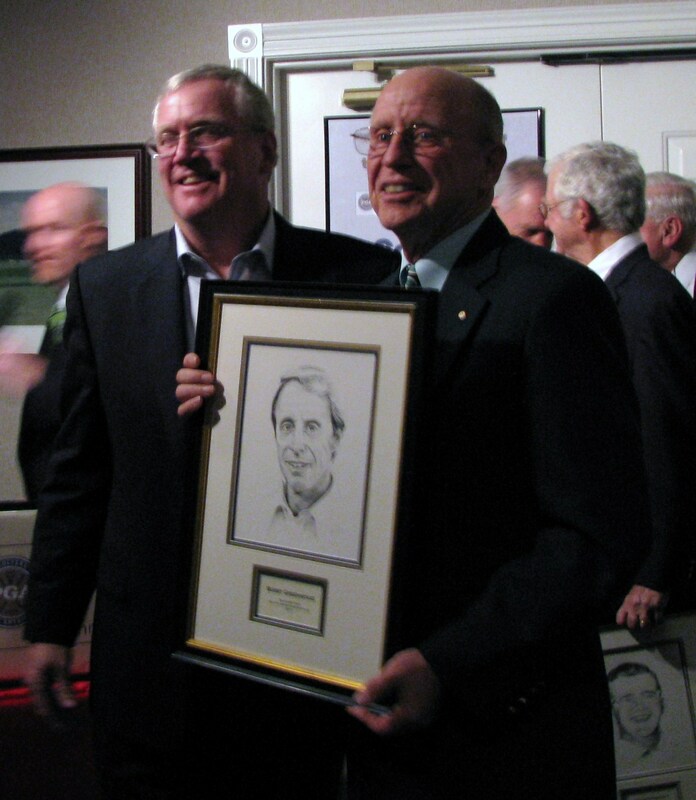 Bobby Greenwood, left, is introduced at the Tennessee Golf Hall of Fame ceremonies by Bobby Nichols. Bobby Greenwood, left, is joined by fellow Tennessee Golf Hall of Fame inductee Joe Campbell. Dinner will be held in the main ball room starting at 6 PM. 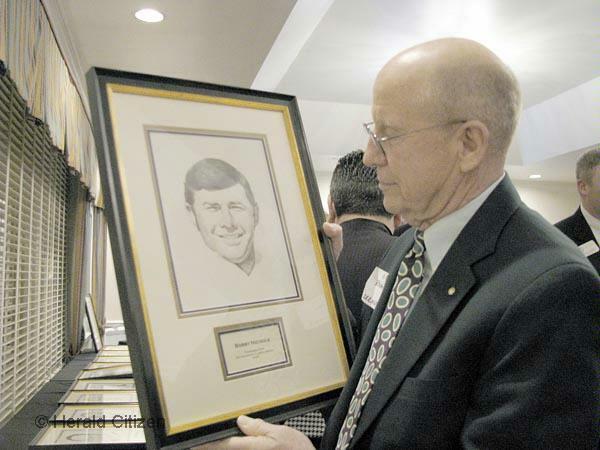 Hall of Fame inducties include Bobby Greenwood, PGA and Joe Campbell, PGA. Bruce Pearl Head Basketball Coach of the University of Tennessee will be the special guest speaker of the night. In addition to the Championship’s activities, the Tennessee Golf Foundation is inducting two PGA Members into the Tennessee Golf Hall of Fame during the annual dinner being hosted by HHCC. Bobby Greenwood, PGA and Joe Campbell, PGA are the inductees of the 2007 class.